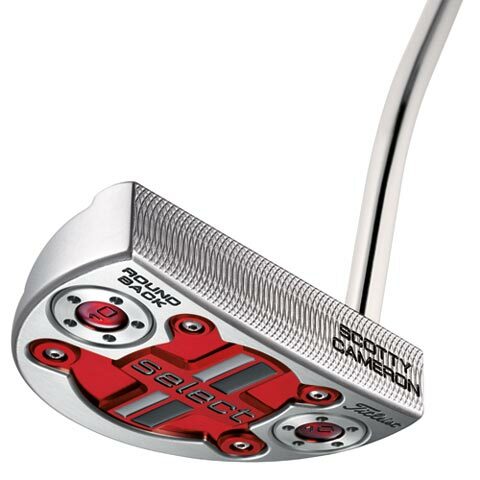 Master Craftsman Scotty Cameron adds to his high performance line of Select putters with the new Select Roundback, a modern mid mallet design with tour-validated balance and stability. 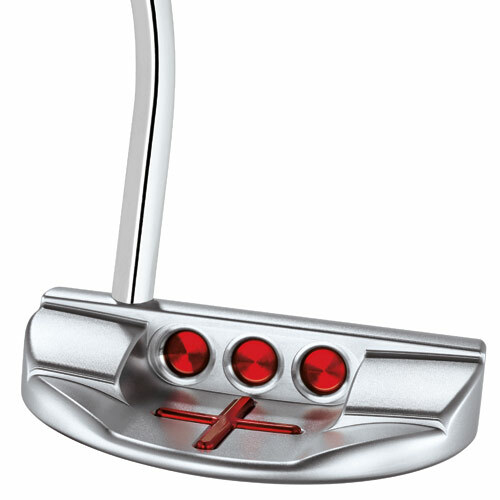 The new Scotty Cameron Select Roundback, like its Select Fastback and Select Squareback counterparts, features an innovative aluminum sole with crisscross sight lines that pop through the head. Sight lines positioned parallel and perpendicular to the face deliver visual confidence for improved alignment. • MODERN MID MALLETS with a Newport shape feature an extended back with innovative aluminum sole and pop-through sight lines. • pop-through sight lines provide vertical and horizontal alignment lines located directly under your eyes for easy alignment. 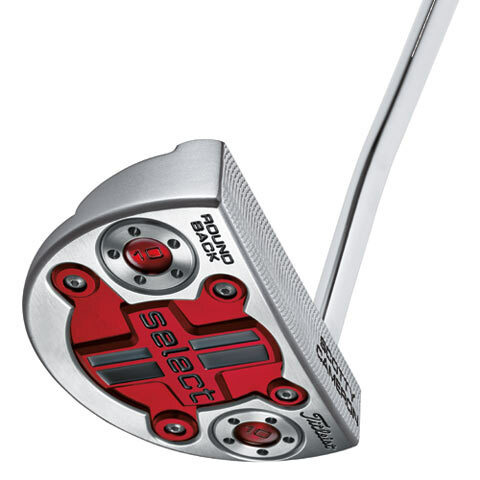 • BALANCE AND STABILITY from the Select weights in the heel and toe perfectly matched to the shaft length. 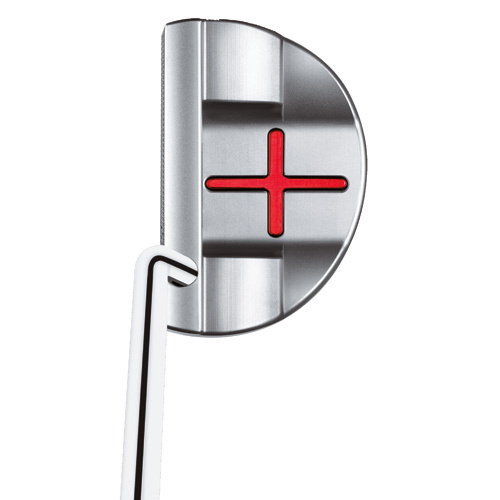 • CLEAN APPEARANCE from the stepless, single bend shaft. • TOUR-PROVEN FEEL and soft sound from the deep mill face.